Best Free Knitting Patterns- If Its Free Is It Not As Good? Best Free Knitting Patterns for Baby, really? What makes them the best? Does Free Make it less than Good? Well certainly free is good. And there are a lot of reasons patterns are offered as free. Sometimes people disagree with the idea of buying a pattern, they feel all patterns should be free, not super realistic, but that’s what they think. Others may offer free patterns because they want to offer you something else while you are there. And still others may just like to reward returning folks that have shown loyalty to a site. Whatever reason, free knitting patterns can be every bit as good as a paid pattern. You just need to look it over to make sure it will work for you. Maybe a good place to start in answering the question what makes a free pattern the best, is what it is you like to knit. I love knitting baby outfits, little sweaters, hats and booties. Or even baby blankets. What is your favorite? My answer to the question is this… the best free knitting pattern is the one you want to knit and the pattern is understandable and at your experience level. Throw in free and you have the trifecta of knitting. So Free is great! nothing not good about it. Many new to knitting can become intimidated by trying to read a pattern and accomplish the instructions presented. In fact it can squash the enthusiasm for the project. Don’t let that happen to you. Start with a pattern that is meant to assist you in learning to knit. There are tutorials that walk you through how to make a certain stitch in question. And before deciding on the best free knitting patterns and starting a project make sure you know how to make each stitch required. Every pattern lists the stitches used in the project. Don’t forget the marvel of YouTube, there are multiple videos for every stitch you could ever want to knit. There are also wonderful classes you can purchase for reasonable amounts that give you personal instructions through multiple videos and included materials as well as a few projects to help you practice your new skills. As well as personal access to the class instructor. You can chat, ask questions even post pictures of your projects. These courses are very interactive and thorough. I purchased several of them and have never regretted it. Great beginner knitting projects include baby blankets . Free baby blanket knitting patterns are plentiful. Some come with better explanations and instructions than others but you can usually figure them out with the aid of YouTube. Free knitting patterns for baby hats and baby booties require just a bit more experience but very easily accomplished by a new beginner knitter with some basic stitches experience. You may choose to learn to knit with circular needles to make a baby hat, but there are plenty of free baby hat knitting patterns that can be done on two single point needles. So don’t worry which ever way you go it will be a success. And baby hat knitting patterns are going to be accomplished with the two basic stitches of knit and Purl in different combinations. 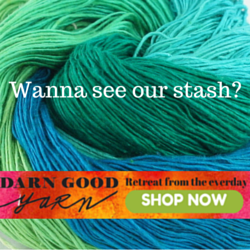 They are fun to knit and great for gifting too. Free baby booties knitting patterns are very fun for new knitters. They can also be knit on straight needles or circular. Sometimes you knit multiple parts and then put them together to make the bootie. Baby booties are perfect for gifting because they are so tiny and just remind you of how precious babies actually are. There is always a baby shower coming up. There just never seems to be a shortage of new babies. Maybe it’s you, maybe it’s someone you know. But the best free knitting patterns that you will love to gift to someone or keep for yourself is a baby sweater free knitting pattern. They are special, just can’t say it better. Now of course, skill level and experience is up a bit more in this area but they are so very cute. Tiny little human clothing. 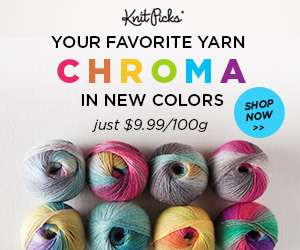 Pretty colors and very soft yarns. Sweaters can be very simple and quick to complete or they can be more complicated. Like cables or twists or textures. More than just two stitches will cause you to have to pay more attention. But never ever be discouraged from trying to learn a new skill in knitting. And choosing from among the best free knitting patterns is the place to start. My favorite thing to knit are baby sweaters and you will learn to love them too and if you are already experienced with knitting baby sweaters then you know what I mean. Did I already say, they are just special? I had never heard of a baby cocoon or cuddle sac before I became a lover of baby knitting patterns. And of course knitting patterns to cover up boring white diapers so even baby can be well dressed. Well when you think about it, these are practical and very pretty little things that babies will need and mothers will love. So don’t neglect even the unique things when you are thinking about your next best free knitting pattern.